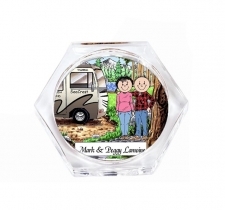 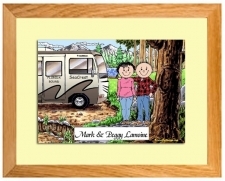 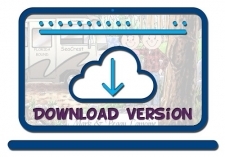 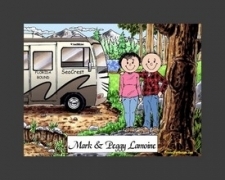 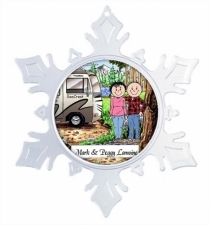 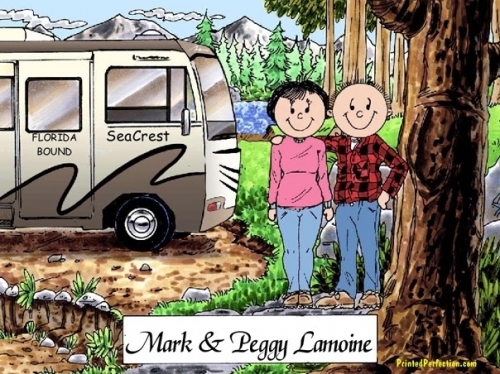 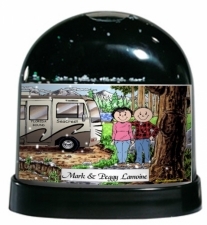 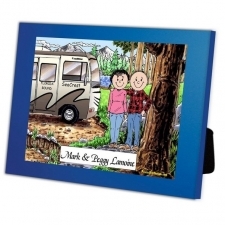 Personalized Friendly Folks Cartoon Caricature gifts for the RV Lovers! 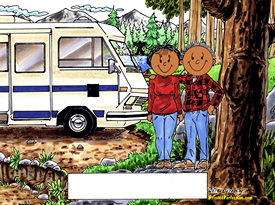 Some people RV full time, some people live in their RV and some just use it for vacation, but they all share one passion - They love their camper. 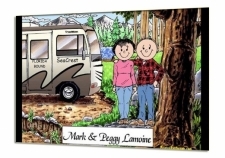 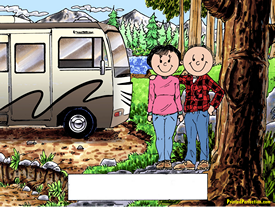 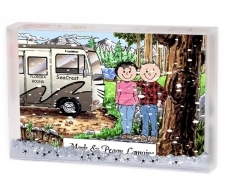 Celebrate their love of traveling, freedom and camping with our RV Lovers cartoon. 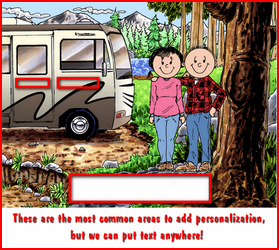 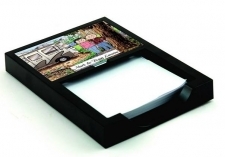 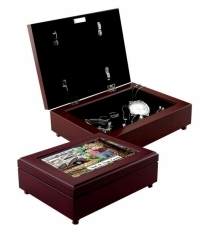 We will personalize it with their information, and will even add children and pets!